San José del Cabo, Los Cabos, Baja California Sur, México. 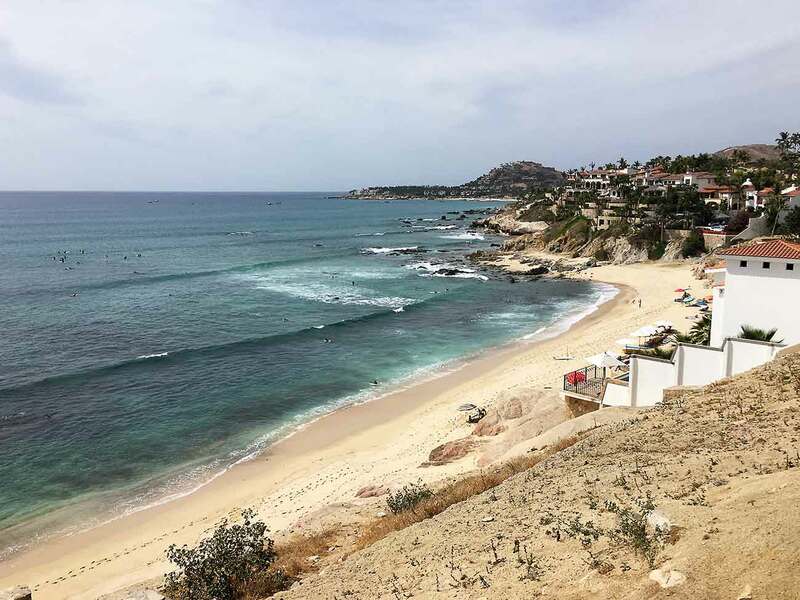 Located in a beautiful ocean cove known as Playa Acapulquito, or Old Man’s Beach, a surfer’s paradise and host to many surfing competitions, the privileged beach offers long rides and is ideal for long-boarders. Beginners can start with surf lessons before meeting up with the experts heading out to catch the waves, which are bigger in summer than in winter. The area is also great for snorkeling and swimming. You can rent surf boards and stand-up paddle boards at any of the surf shops in the area and set a time for lessons. If you don’t surf, and don’t want to learn, it is a great place to observe those who only have one thing in mind: Catch the Next Big One. Fine dining at 7 Seas Seafood Grille and accommodations are available at the 36-room resort that is reminiscent to a California-style beach house with stucco walls, arches, tile roofs and luscious gardens. Exit Km 28 from the Transpeninsular Highway.